For as long as I’ve known David, which is something like four years now, he has been dreaming about opening Ebenezer’s Coffeehouse in Uptown Charlotte, North Carolina — modeled after Ebenezer’s in Washington, DC, a place you may be familiar with if you’re a fan of Mark Batterson. In the last few years I have seen David and the rest of my friends at Center City Church dream time and time again, hoping against hope and facing disappointment over and over — yet they still stand. They still choose to believe God has the best in mind for their dream for their city. David Docusen is the kind of leader I would follow anywhere — in fact, Noland and I were praying about moving to Charlotte at one point for that reason. I’m excited for you to get to peek through a little window into this guy’s life and walk with Jesus today. November 20, 2013 will always hold a very special place in my heart. It’s the day that the dream of Ebenezers Coffeehouse died again in my heart. For the preceding six months, I had prayed countless prayers, fasted countless meals and casted a vision to countless people that all aimed toward this date. 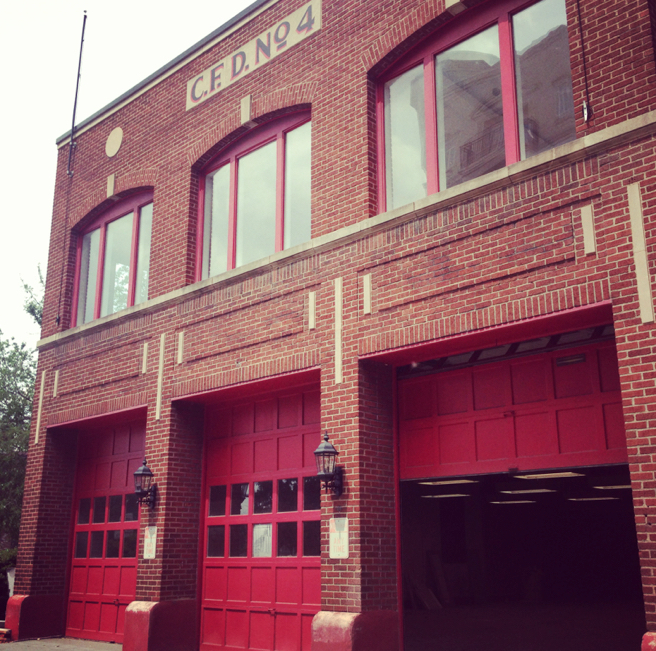 November 20, 2013 was the closing date that we had scheduled for 420 W 5th Street, a historic fire station in the heart of Uptown Charlotte, NC. The first floor would be a 2,000+ square foot coffeehouse. The second floor would be a 300 seat multiple-use venue for our community. Instead of building a church facility, we have aimed to build something for our community to enjoy (and our church could use on Sunday mornings). Everything seemed to be lining up. Meetings with the city were met with incredible enthusiasm for our project. The Historic Commission was shockingly supportive and excited for the adaptive re-use of this registered landmark. Financial contributions came miraculously to cover the cost of the due diligence period (over $20,000 for the deposit and various studies on the building to ensure it’s ability to function as we planned). Every arrow pointed toward November 20, 2013 being the most monumental day in the life of this dream. November 20, 2013 came and went last year rather unceremoniously. We had built a relationship with a donor for the past two years that we thought would be at the closing table with us to bring this dream to life. For various reasons, this donor decided not to move forward with us, leaving us a bit disoriented and confused. This is not the first death of this dream. We have had five separate properties that God seemingly opened doors, only to close them somewhere along the way. In this case, it was only a few steps away from the finish line of a marathon. We had worked on this project, specifically, for the past fourteen months. And every door opened except the last one. There have been many long nights and uncomfortable interactions with God. Attempting to understand the all-knowing God while having a quite limited, human perspective is not an easy endeavor. I have wrestled with wide-ranging emotions; faith, trust, disappointment, loss, shock, joy, disorientation, etc. And I can’t say that I’ve arrived at any answers, only a simple reminder. God only gives us what is best. God is good, full of love and completely able to provide for his dreams. When my dreams align with His, our shared dream will come to pass. I don’t understand His timing, but believe his timing is perfect. I have a propensity to pitch fits like my kids do when they don’t get their way. God loves to hear me talk to him (even when I pitch fits), because the more I talk to him, the more he is able to shape my heart, perspective and understanding. Strangely enough, the same week this dream died was a week that I arrived at Matthew 7:7-8 in our teaching series at Center City Church through the Sermon on the Mount. I choose to keep on asking, seeking and knocking. Knowing full well (or at least choosing to believe) that God only gives us what is best. Just because I ask doesn’t mean I will receive what I want. But this verse promises that when I ask, and align myself with His desires, I will certainly receive the best that God has to offer. The dream of Ebenezers Coffeehouse died on November 20, 2013. But the dream of Ebenezers Coffeehouse is fully alive, today more than ever. Turns out that, yet again, I have had to let my dream die. My desires. My timetable. And it’s in that death that the dream of Ebenezers Coffeehouse on the corner of 5th & Graham comes to life as my spirit actively dreams of the day that God brings his best to pass for the glory of his name and the benefit of our city. I believe that the dream of Ebenezers Coffeehouse in the heart of Uptown Charlotte is God’s dream, not ours to own or hold. And I believe that we are one step closer to seeing this dream come to life. 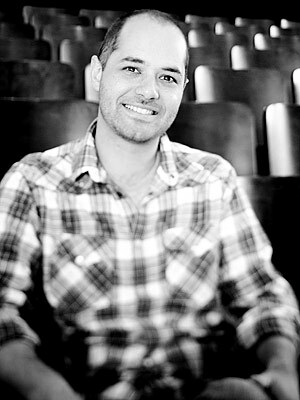 David Docusen grew up in Orlando, FL and moved to Charlotte, NC in 2008 to plant Center City Church. The church began to form in the Docusen’s living room in the Fall of 2009 with a dozen people and a pot of spaghetti. The church continued to gather in the Docusen’s home until Center City Church was officially launched on Easter Sunday 2010 at Elizabeth Traditional Elementary School in Uptown Charlotte. Four words describe what David hopes every person embraces at Center City: Read. Pray. Gather. Go. He believes that when a community gathers around the Word of God and learns to apply it to their lives, there is no limit for what God can do through that group of people. David lives in Uptown Charlotte with his wife, Dara and their four children: Max, Mary, Jack and Ben. Continue to follow David by reading his blog or following him on Twitter. thank you so much for this post. I need d this sooo much!! !